I've had an f4i for around 3 years and finally decided to pull the trigger on this 04 1000rr. 7500 miles, paid 4500 for it. What you guys think? Slightly old thread but I must have missed it the first time. Anyway, it looks nice. 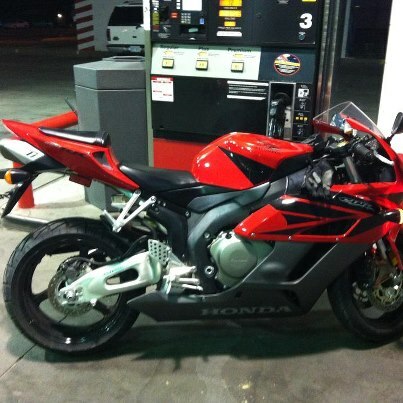 I'm wondering why someone had a 1000RR for 8 years and only put 7,500 miles on it. Sorry haven't be on in awhile, a lady talking on her phone hit the front of the 1000rr and it got totaled, after wrestling with her insurance company they paid the bike off (i made one payment) and gave me enough to fix it after i bought it back. Still piecing it back together. Also sold the F4i a month or so back too and picked up a ninja 250 track bike. Planning on putting a thread up on the rebuild pretty soon and hopefully will be back on the road very soon! Quick Reply: New to the 1000rr club.